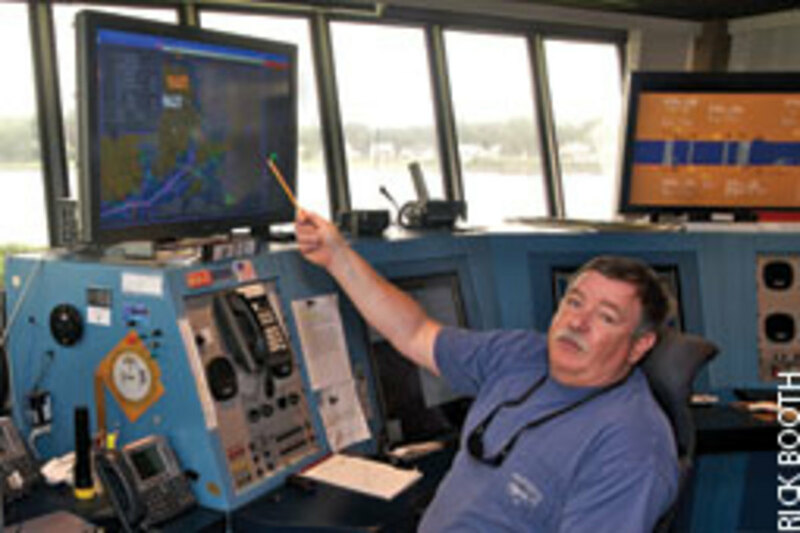 He’s talking about the computer that runs Cape Cod Canal’s Automatic Identification System receiver. Fillman is a watchstander in the canal control center. The problem is those triangles, each representing a hull somewhere within VHF range. The pink ones (colors are set by the Army Corps of Engineers software) are commercial vessels with Type A transponders. The law requires commercial vessels to have AIS. Fillman clicks on the triangle of his last radio contact, a McAllister tug that just left the canal’s east entrance. A pop-up box shows everything Fillman could want to know about the tug: name, captain, length, beam, draft, VHF call sign. Everyone who has an AIS receiver can see it. The number of duds actually dropped recently, Fillman says, when the Corps of Engineers upgraded its software at the canal. But Fillman notes that’s not the end of the problem. “If a commercial vessel’s AIS was bought before 2008, there’s a good chance they can’t see new non-commercial transponders,” he says. 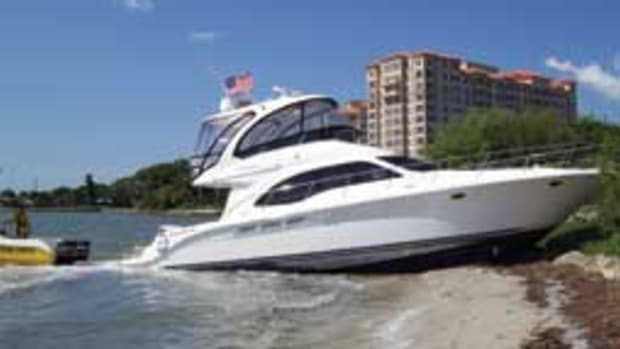 “Now the pleasure boats can see the commercials, so it’s not as bad as it might otherwise be. But the fact is, every owner is responsible to ensure his or her equipment, and its software, is up to date and on the job. “Technology has brought us a long way,” Fillman says, and he should know. When Fillman was a Coast Guard boot, no one had heard of AIS. Boaters didn’t even have it when he retired as a master chief boatswain. He turns back to the giant computer screen he relies on to do his job. Multiple Coast Guard crews assisted a Miami-based yacht Aug. 5 after it hit a rock 100 yards off Nobska Beach near Woods Hole, Mass. 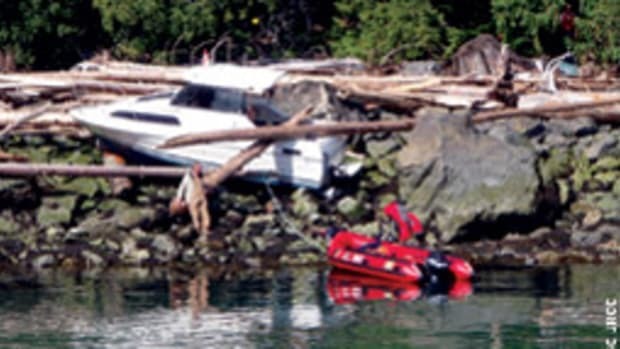 The master of the 85-footer, Cocktails, intentionally grounded the yacht to prevent it from taking on more water through a hole in the bow. Crews aboard two boats from Station Woods Hole were dispatched after they heard the yacht call Sea Tow on VHF channel 16 at about 11:36 a.m. The crews arrived about 11:45 a.m. 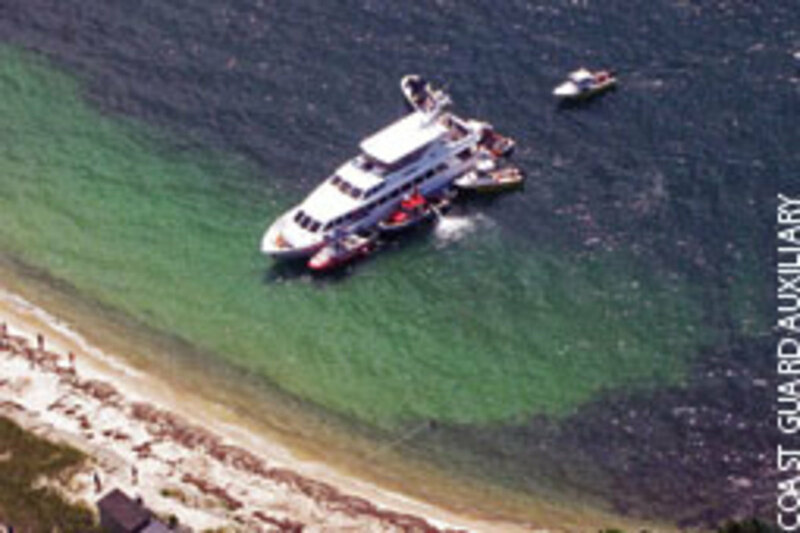 They provided a safety zone, helped Sea Tow and TowBoatUS dewater the yacht, and escorted the commercial service boats as they towed Cocktails to Fairhaven, Mass., for repairs. 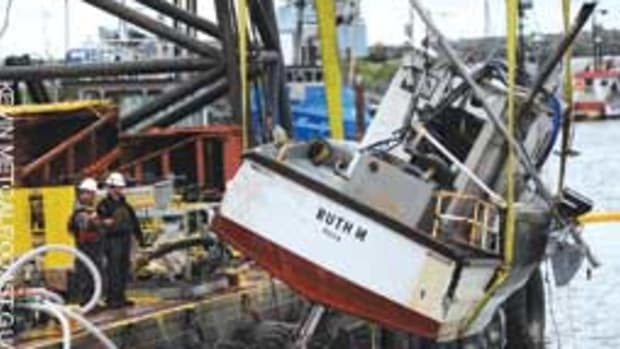 “The yacht was intentionally grounded to keep the waterways open and to save the vessel from sinking,” Senior Chief Petty Officer Ronny German from Sector Southeastern New England says. 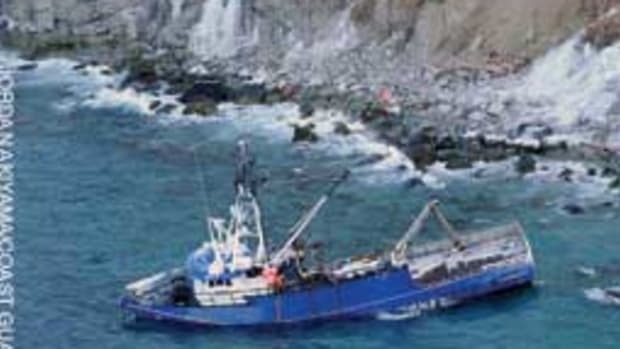 The 899-foot Kim Jacob, a ship enrolled in the Automated Mutual-Assistance Vessel Rescue System, or AMVER, rescued two sailors July 27 about 780 miles northeast of Cape Cod, Mass. 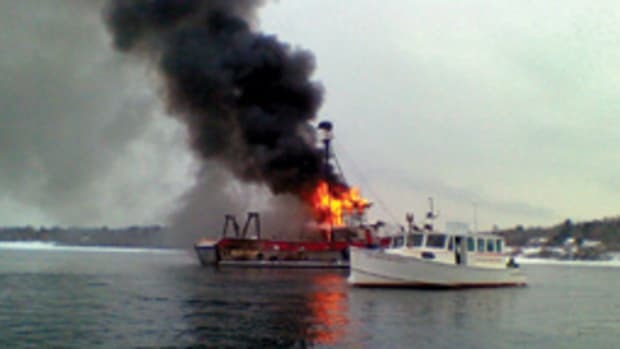 Watchstanders at the First Coast Guard District command center in Boston had received a report at 5 p.m. July 26 from a man and wife aboard the sailboat Triumph, who said their engine was disabled and the boat was taking on water. The sailors donned life jackets and activated their EPIRB. The Coast Guard contacted vessels in the area because the sailors were so far offshore, and the Kim Jacob reached the sailboat about noon. The husband was treated for mild hypothermia. The Coast Guard rescued a 62-year-old boardsailor July 19 in San Francisco Bay near the San Mateo Bridge. She had been in the water for nearly 13 hours. An MH-65 Dolphin helicopter from Air Station San Francisco found Cathy Caton near the north span of the bridge at 6 a.m. after an overnight search that covered more than 82 square miles. Caton was wearing a wetsuit, helmet and life jacket, and rescuers say that was key to her survival. Her husband had called the Coast Guard about 7:20 p.m. the previous evening when she did not return from what was to be a half-hour outing on the Bay. The Coast Guard rescued a man and a woman on the morning of July 26 after the 12-foot sailboat they were aboard capsized in Albemarle Sound. 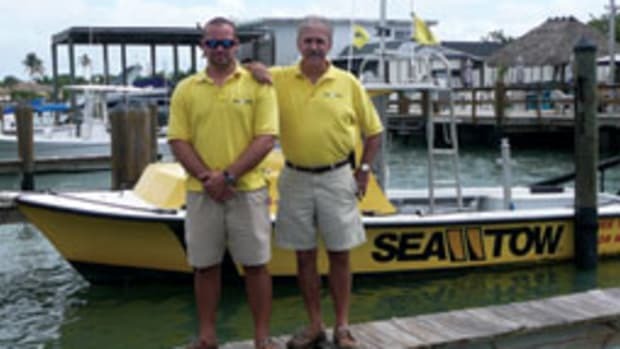 The previous evening, at 8:08 p.m., a neighbor of the couple notified the Coast Guard through Washington (N.C.) County dispatch that the two boaters had left about four hours earlier but did not return. An MH-60 Jayhawk helicopter from Air Station Elizabeth City, N.C., located the pair in the middle of the sound about 1:54 a.m. The air crew hoisted the woman from the water while a boat crew from Station Elizabeth City that also was involved in the search helped the man right the sailboat and towed it to the Midway Boat Ramp. A Coast Guard boat crew from Station Ashtabula, Ohio, rescued five people and a dog July 26 after their 25-foot boat sank in Lake Erie about six miles north of Geneva-On-The-Lake, Ohio. The boaters radioed for help about 1 p.m. after the boat was swamped. Shortly after they made the distress call, their radio stopped working. A Special Purpose Craft-Law Enforcement crew from Station Ashtabula found a 29-year-old woman, a 34-year-old man, a 48-year-old man, two 52-year-old men and a dog in the water. All five people were wearing life jackets. The boat was no longer visible. The Coast Guard crew brought all five people and the dog aboard their 33-footer and took them to Geneva-On-The-Lake. The Coast Guard ended the trip of a sailor and his passenger July 18, and they were later arrested on charges of boating under the influence. About 10:40 a.m., Station New York responded after the skipper of a 30-foot sailboat got dangerously close to another boat near Bayridge Anchorage. The crew escorted the sailboat to the nearest marina to conduct a boarding. 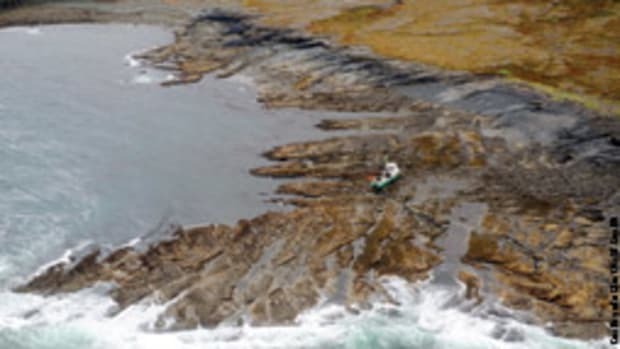 The operator couldn’t safely navigate, so the passenger took the helm and motored the boat. A boarding team conducted field sobriety tests and administered a breath analyzer test to the operator and passenger. Both reportedly failed them. 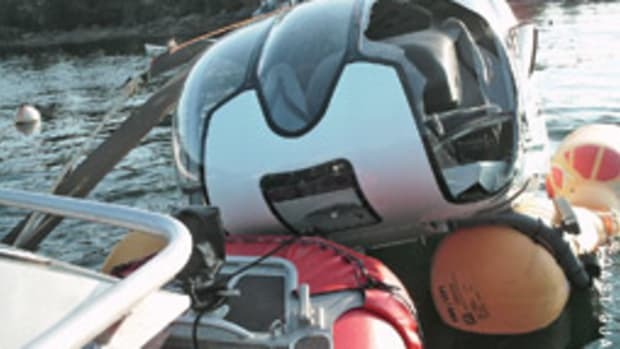 The team found several empty alcoholic beverage containers aboard. The boarding officer cited the operator and passenger, and New York police arrested both of them.